"Ed, this is as close to hell as I ever want to get." 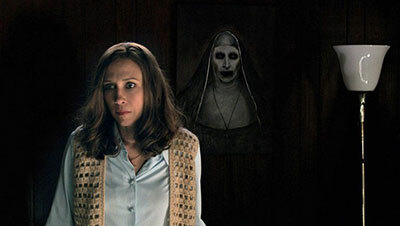 Hollywood’s rather fanciful retelling of the Ed and Lorraine Warren investigation into the Enfield Poltergeist case took a lot of artistic liberties, in particular the introduction of Valak, a demonic nun. As it happens, this creepy character has found a fan base and become very iconic in her own right. She’s become a popular cosplay choice at horror conventions and, naturally, I found myself wanting to shoot my own version of her in my studio. I decided to tackle this theme in two separate shoots and with two models. 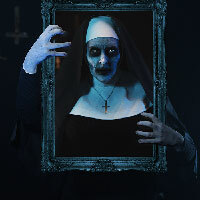 Valak has two phases of apparition, one being the ghostly nun that emerges from the painting, and the other being a truly hideous creature with enormous twisted fangs. 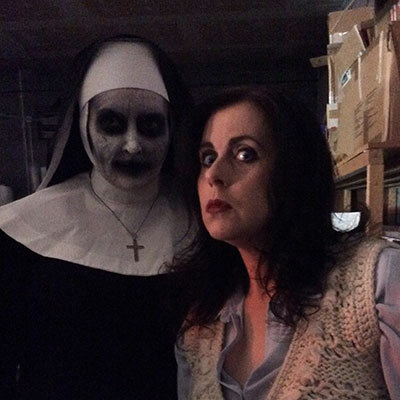 Elizabeth Stanton came to pose as the ghostly version of Valak, and Cheryle Yeo took the more toothy role, allowing me to build some of the most ridiculous dentures ever seen which rendered her jaw virtually disabled during the shoot. Originally, I was only going to shoot Elizabeth’s version but shortly after completing it I just knew I had to get those teeth in some shots. 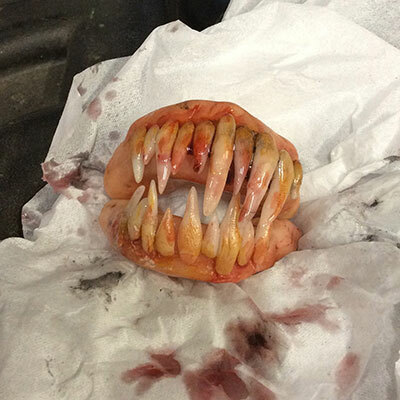 The teeth looked great, but poor Cheryle couldn’t speak and instead made animal-like noises as drool escaped from her lips. I’m sure she won’t thank me for that revelation. In both shoots, my wife Claire Jones took the role of Lorraine Warren. She even found similar clothing to the 1970s character and demonstrated an uncanny ability to look utterly terrified! 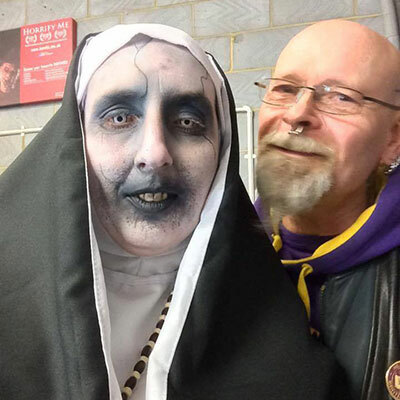 Makeup was fairly simple for Valak. Broken down, it is a pretty basic white face with dark eyes Halloween makeup, but of course it required a bit of finesse, with some airbrushing and texturing. Valak isn’t about blood and gore but I found that adding some blood to those insane teeth just gave them a slightly more authentic horror feel. Plus, I love using blood and just can’t stop myself. My favourite shots from these sets are the ones in which the nun is assaulting Warren. I did the shot with both models, with Liz’s extraordinary haunting demonic lament and with Cheryle’s more physical toothy menace.